The firsts rip up the script at table topping Torquay while the long hard season continues for the 2nd's and 3rd's. In the field we started quite well without taking an early wicket. Ryan Skinner came into the attack and got one of their openers. James Degg finished his brilliant spell with figures of 3-16 from his 10 overs. Wickets were then spread around by most bowlers and a run out from Justin. Torquay finished on 219-8. In reply we lost Dangerous and Buns early, but Justin and Deggy put on a good partnership to get us going again. When Justin was out unfortunately young Els got a bad decision but this only brought Ben Privett to the crease who along with Deggy put on a fantastic partnership and got us well and truly in the game. Unfortunately Deggy then fell for a well made 78. Andy Waltz came in and hit a couple of boundaries before he was dismissed. Chris Dawe Po joined Priv and gave Torquay the run around getting us within 3 runs with 3 overs to go. We then got home with Priv not out on 51. Really proud of the lads, everyone contributed and helped get us a great win. Thanks to Bev Walter for scoring and to all those who came to support. The seconds were at home to Kingsbridge 1st's at Harewood. The visitors won the toss and elected to bat first. Their top five all got starts without going on to big scores but a total of 226-4 was always going to be competitive. In reply, despite a 40 from Alex, 33 from Ben and 30 from Olli we were all out for 159 in the 42 over. The 3rd's travelled the short distance to Cornwood to take on their counterparts, having beaten them earlier in the season. However the tables were turned after having been put in Cornwood posted 259-7 from their 45 overs. Sean took 2-31 and there was a wicket each for Paul, Dan, Isaac, Jack and Evie. In reply early wickets scuppered the chase and despite a great 67 not out from Jack we were all out in the 35th over for 163. Away to Torquay with a 12.30pm start. Unless going direct to Torquay, players to meet at Tesco car park at 10.30am. Please let Donners know either way. The 1st's get their revenge for an earlier defeat by Chudleigh but the 2nd's and 3rd's are both beaten. Starting at Harewood where Chudleigh were the visitors, Capt Craig lost the toss and we were put in to bat. After the early losses of James and Buns, Waltz (32) and Justin (44) pushed the score along nicely. Elliot posted 35, Po got 30 and Jacob top scored with what would be a man of the match performance with 56. We were all out with one ball left for 235. In reply Chudleigh never got going and slumped to 23-4. A couple of stands took their score to three figures but our young attack proved too much and the visitors were all out for 109 in the 39th over. Jacob led the way with 4-10 off 10, Jonty took 3-26 off 10 and there was a wicket each for Donners, Ben & Elliot. Ashburton won the toss and asked us to bat on their allotment and we were in trouble at 34-5 off 19 overs. Oliver Goulder was playing well for 21 and was joined by Tim George (13). They got past 50 before Tim was out. We continued to build if slowly until Jake Campbell-Beattie came in and made batting look easy with a quick fire 24. We batted into 45th over, finishing on 131. Ashburton, certainly were more used to batting on a cabbage pack, and managed to pop any chances out of fielders reach. There was one wicket apiece for Charles O'Higgins and JCB before Ashburton chased the target down in 26.2 overs. We go again next week Kingsbridge at Home! The thirds hosted Abbotskerswell two's at Plymouth College and after winning the toss, not too much else went right. Abbots posted a massive 337 and proceeded to bowl us out for 120. 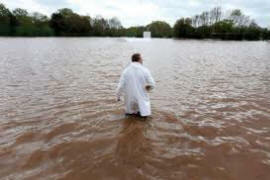 After a glorious summer, rain finally got hold of the cricket season with all three teams rained off. The weekend saw a resounding victory for the firsts but defeats for both the twos and threes. Starting at Harewood where the 1st's took on a struggling Ivybridge team, Donners won the toss and put Ivybridge into bat. Wickets fell at regular intervals and despite a stand of 45 for the fifth wickets Ivybridge were all out for 115 in the 41st over. Jacob topped the bowling figures with superb figures of 5-19 off 10. Waltz returned an excellent 3-13 off 9 and there a wicket each for Donners and Ben. In reply James and Dangerous put on 106 for the first wicket before James was run out leaving Dave and Buns to see us over the line in the 28th over. The seconds travelled the short distance to Oak Park to take on strong looking Cornwood Two's. Jason won the toss and put Cornwood into bat. Sadly after taking their first opener with 46 on the board the second wicket partnership was 146 meaning the second wicket fell at 192. Cornwood reached 277 when their 45 overs were up. Skipper Jason took 3-34, Selly took 3-45 and both Simon & JCB took one each. In reply, apart from a decent knock of 65 from Po, 20 from Charlie and 16 from Jason, no one else got into double figures and we were all out for 141 in the 34th over. The thirds travelled across the moors to Tavistock and having lost the toss were put in the field. Two massive stands of 152 and 128 for the first and second wicket set the tone for the day and Tavy finished their 45 overs on 307-3. In reply we made 101 all out in the 26th over. A bit of a weekend to forget for the club with all three teams suffering defeat. The seconds however gave a decent account of themselves during their 45 run loss at home to Bovey Tracey two's. Won toss and chose to bowl given rain around. Ollie Maynard (1-11) struck first to remove an opener with 33 on the board pretty quickly due to wind. Simon Beare (2-33) then helped out with his first with score 51-2. A partnership then helped them before we struck again 126-3 with the simplest of caught and bowled from Jason Degg (3-25). Elliot Hamilton (2-41) deserved more with 5 chances not going to hand in first 12 balls. Jake Campbell-Beattie (1-44) also helped on his birthday! 220ao in the 43rd looked a really good effort. Tea was again supported and thank you to Sarah Sellick for your help. The Hamilton’s opened up and looked settled until Els(21) chipped one back to the bowler. Paul Hamilton went on to a respectable (25) before playing across the line. Rob Walker and Simon came and went cheaply before Oliver Goulder and Ollie M put on 72 with some outstanding shots! Once the partnership was broken at 139 we knew it was a task to get the 220. We finished up 175ao. Thanks to Jon Jonathan Goulder for umpiring. Unfortunately we were on the wrong end of the result. Batting first we made steady progress unfortunately losing regular wickets which slowed us down. Justin Wubbeling hit 81 and looked set for a big ‘un until he was stumped later in the innings. Christian Bunney next top scored on 21. In the field there was some promising spells from Jonty Walliker and Josiah Caunter both on debut, Ben Privett got our only wicket as Budleigh cruises to the total. Not enough runs and we didn’t bowl well enough. Congratulations to both Jonty and Josiah on debut you both did yourselves proud. Onward and upwards for next week, back at the Theatre of Dreams aka Harewood House! And away at Filham Park the third's lost by seven wickets to Ivybridge. Home to Bovey with a 1.30pm start. Players to meet at Harewood at 12.15pm. The first's came unstuck at home to Paignton, the thirds lost to Plymstock but the 2nd's picked up another encouraging win. We won toss and chose to field as the wicket was covered in rolled 3cm straw. Jonty Walliker (9-0-37-3) struck in the first over with his gas left arm over! That set the tone and D&T managed to lose wickets at regular intervals with Felicity Leydon-Davis (8-3-16-2) cashing in with Ben Phillips (3-0-25-1). The spinners came out also profiting with Josiah Caunter with (9-2-36-1) and the bombs from skips with (5.5-1-6-3). After tea, Flossy 27 held it together at the top, Rob Walker 19 was also good to watch. Charles O'Higgins and Jonty both hit 17, the total was made in the 34th over with the loss of 8wkts. A good win and much needed! 4 more from the next 6 would really help the cause. Back to back wins for the firsts for the first time this season but defeats for both the 2nd's and 3rd's. We won the toss with what looked like a pretty good wicket and a glass outfield chose to bat. We didn’t start particularly well unfortunately losing both Deggy and Walts with not many on the board. This brought Christian Bunney and Justin Wubbeling together who set about the Brixham bowlers. Some very good batting and both had passed 50. Unfortunately we lost both wickets close together however Jack Horton and Ben Privett kept the momentum and with some good runs from Jacob Caunter we finished 290 AO. I the field we started well taking a few early wickets and catching really well. Their overseas decided he was in for the duration and didn’t really play a shot in anger until the last 10. Once they were 9 down he opened up with the short boundary and with us not being clinical against their number 11 it made the game a lot closer than we would have wanted. I think they put on 80/90 for the last wicket - the overseas getting these. Special mention to Caunts who bowled really well, Matthew Draper with 4 wickets and Priv who bowled beyond his pup years. Good win lads- and great start to the 2nd half of the season. Thanks to Bev Walter for scoring. Lost toss and asked to bat...indifferent bounce and some shots being played saw us reduced to 40-6! Charles O'Higgins 59, stuck around and helped us to get to 159ao. We took a 6 wickets with us but it was an early finish unfortunately. Thanks to all that helped, supported, umpired and scored. Jake Agnew bowling an impressive opening spell of 4 Overs 0 for 7 which included 2 maidens. He beat the bat on several occasions bur couldn't find the edge. At the other end Sean was trying to bore the openers out unfortunately this didn't work. (9 overs 0 for 20). We then tried switching the bowling around with both Evie's having a go and JCB trying some spin, none of this managed to get the breakthrough though and the openers both showed good timing hitting the boundary regularly. We then turned to the pace of Ollie Maynard his first over went for 18 mostly from the edge. He persevered and finally get one of the openers out when they were on 164. Whilst Ollie kept powering in at one end we brought Hannah Duckworth on at the other, halfway through her first over she struck with an LBW to remove the no.3. I think she still needs a bit of work on the appealing though. Ollie then removed their other opener who had scored 107. We tried to get a few more wickets at the end but could only get 1 more which was taken by Paul Hamilton who fooled their batsman by turning one. A mention as well for Evie Privett who bowled the last three overs from one end for only 13 runs. They finished on 298 for 4. In the second half we opened with Paul Hamilton and Ollie Maynard who tried to see of their opening bowlers. Ollie managed to keep going to the 11th over before he was caught behind for 9. Ian Duckworth and Jack Sellick then came and went without troubling the scorer. This brought Jake Campbell-Beattie to the crease, following on from his performance last week he batted with great care to get past the opening bowlers. We then lost Paul and Jake Agnew in fairly quick succession. Evie Pitman then joined Jake and with the new bowlers on managed to start finding the boundary, they progressed the score to 94 in the 24th over. Jake was then joined by Sean. Jake passed the 50 mark soon afterwards, we then pushed on to try to get to 160 and see how long we had after that to go after the win, Jake continued to pepper the boundary with some superb drives and pulls. After 31 overs we had reached 160 and felt that with the way things were going we should continue to push, at this point they had no answer to Jakes straight hitting, even with 4 fielders on the boundary straight. Jake continued on passing the hundred mark as we passed 200. Unfortunately Sean was run out a little later after scoring 31. Jake continued to put the pressure on assisted by Alex Hampton until finally Jake was caught at fly slip for a magnificent 132 (24x4 and 2x6). Jake batted sensibly throughout taking as few risks as possible and still managed to get us within reaching distance of their score. Alex managed to hit a couple more 4s in his 16 no with Evie Privett(6) and Hannah Duckworth (0) the last 2 wickets to fall with our final total of 253 ao. Overall we managed 7 points but the effort put in by everybody deserved more. Thanks again to everyone who played and Jon Agnew for scoring, even though he kept moaning about being bored. Finally the 1st's get back to winning ways, the 3rd's come up trumps but the 2nd's suffer defeat. Great to get back to winning ways today. Lost the toss and Bideford elected to bat first which wasn’t a big issue as we’d have liked to bowl first. Jacob Caunter and Matthew Draper opened up with great control and intent and got their just rewards by nipping out some early wickets. Ben Privett and James Degg joined the party with some equally fine bowling and wickets too. At 48-6 the scoreboard was looking very promising for us. Elliot Hamilton and Dave Wrench bowled well at an important stage later on in the innings and there was an entertaining cameo from Jack Horton to complete a much improved performance from the bowling unit in comparison to last week. Credit to the Bideford lower order who, irritatingly, managed to take them to 150 a/o in 40 overs and gave us a bit more to think about than we’d have liked at one stage but still we walked off at the end of the first half with things looking slightly more in our favour. Second half and with a new look batting line-up Deggy opened with David Ackford. After losing this season’s run machine Dangerous, Wrenchy joined Deggy and the pair put on a partnership of 60 to lay a great foundation to our chase. After losing Deggy after a fine knock of 24, Justin Wubbeling continued his good form and put on another 40 with Wrenchy whose 35 was crucial in the chase and reminiscent of the sort of knock that earned him plenty of accolades back in the day! Justin continued to play the leading role and saw us home in the 34th over with 65* to his name. All in all, a fine display from the boys in all three disciplines and we were thoroughly deserving of our victory. 20 big ones was the icing on the cake and a fantastic result to get back to winning ways. Normal service resumes next week with Craig Donohue back to lead the troops. Thanks to all the players for their patience over the last two weeks! Thank you to Bev Walter for scoring again, Alex Carr the tea man, to all those who helped on the ground this week and finally to all those who came down to support the cricket and apparently there was a football match on as well that we might have won...! Flying high! It’s coming home! Having won the toss I invited Babbacombe to bat first. Due to the football this was a 25 over game. We opened the bowling with Jake Agnew who unfortunately came up against a belligerent opening batsman who hit a few 4s. Evie Pitman then came on to calm things down a bit and finally remove their opener. Things then proceeded at a steady pace with JCB taking a wicket. Alasdair Lambie had a bowl but was a bit rusty and went for a few. Paul Hamilton was then brought on to stifle the opposition, unfortunately he couldn't quite get it right and went round the park. That then left the last 7 overs to be bowled by the Evie Ps. Both bowled superbly with old Evie P 3 for 32 off 5 overs and young Evie P 2 for 18 off 4 overs. Babbacombe finished on 171 for 7. Our innings started with Paul Hamilton scoring freely and Ollie Goulder struggling to find the gaps. Once we lost Paul for 23 Jack Sellick came in and unfortunately got a good ball early on,this brought JCB to the crease. From this point Ollie took charge and started to find the boundary regularly. JCB offered great support and batted very sensibly for the team. Ollie was finally out for 58 and JCB for 38. That meant that left Evie Pitman, Alex Hampton and Alasdair Lambie to get us over the line with 3 wickets to spare. It was a great fielding performance catches taken and bodies put on the line. Most nonchalant catch of the day goes to Jack Sellick. 18 points and we're off the bottom. Won toss and decided to field. Adam Sellick 2-38 and Steve Raven 3-38 bowled well hitting challenging lengths early doors. Tim George was as reliable as ever returning 0-22. Josiah Caunter bowled 0-19 off 6 but they went after him in his last 2 - 0-45 of 8. Skips had a go but conceded 3x6’s - 0-39. Felicity Leydon-Davis was very accurate at the death 4-36 off 4. A handful of catches were dropped and 50 extras conceded included 32 wides allowing Bridestowe to get to 239-9 off 40. This could have been 180 we felt. Skips opened up with Charles O'Higgins who after a lovely straight drive for 4 went in the first over. Rob Walker joined Skips for the highest partnership in our innings of 44 before Skips was caught at 3rd man for 25. Chris Dawe Po (10) and Harry Kandampully (17) were the only other 2 to get double figures in support of a gutsy knock from Rob (70). We were bowled out in 34th for 155. We weren’t too far behind the rate but the constant wicket loss hurt us today. Thanks to the supporters and Dave for umpiring! Lots of positives today, good voices in the field, ground fielding Tobin Barker and some good bowling spells. Batted Rob! The two's finally get their first win of the season but the 1st's and 2nd's both have bad days at the office. We start at Harewood where after a number of close calls the thirds hosted Chagford still searching for their first win of the season. The task was made more difficult with the absence of skipper Degg with Charlie stepping up to the plate. 2s Vs Chagford match report. I had the pleasure of skippering the side this weekend due to the absence of Jason. We welcomed Chagford to Harewood on what was an absolutely sweltering afternoon. The Chagford skipper won the toss and elected to bat first in the conditions. Adam Sellick took the first over and got us off to the best way possible by dismissing the skipper with the first ball of the innings. The visitors chanced their arm and tried to claim the upper-hand with some interesting shots before Simon Beare claimed two quick fire LBW’s from the other end to put Chagford 39-3. Pace was taken off of the ball at the other end and Josiah Caunter entered the bowling attack and immediately made an impression by having the visitors run scorer all ends up with his first ball and continued to take the game to Chagford. Josiah’s tight bowling saw him trap another one infront and pick up his first wicket of the day which left the visitors 50-4. Simon consistently caused the visitors problems and it wasn’t long before he claimed his 3rd victim of the day caught in the infield by Jake Campbell-Beattie. Our spirit and determination in the field meant the pressure was always fully applied and wickets came our way at regular intervals. Given the sweltering conditions, Simon and Josiah remained on point and flew through the middle order and finished the tail off inside 19 overs. Simon’s valiant effort with the ball earned him exceptional figures of 6/19 off of his 9 and Josiah with an equally as healthy 3/23 off of his 5 leaving us to chase 78 to win. Paul Hamilton and myself opened up the batting attack. Paul lost his partner in the 3rd over leaving us 16-1 which saw Rob Walker arrive at the crease. Unfortunately, Paul was caught subject to a lucky piece of fielding but looked in really good form. Simon Beare joined Rob and together they dispatched the Chagford bowling to all areas of the ground and ticked the scoreboard over in rapid fashion. It took us just 14 overs to reach the set target with just two wickets down. A special mention to Rob who played a superb looking innings for his 48*. A huge win and a much needed 20 points in the bag. It was a great pleasure to captain the side this weekend. The whole team pulled together and played in a spirited, enthusiastic and determined manner. Each and every one of the team played their part in getting us to the win. A big thankyou to Jonathan Goulder for scoring, Kev for umpiring, Sarah Sellick for helping out behind the bar and finally to the Caunters for preparing the teas. A huge success for the 2s this weekend. On to Bridestowe next weekend. Tough day again for the lads today. Encouraging start winning the toss and at one point we had them 163-7 and despite very short straight boundaries things were looking promising. Unfortunately for us it felt like Chudleigh all over again and their lower order batted well to take them to 270-9. However we shot ourselves in the foot by giving them 73 extras - 55 of which were wides. Sadly this top scored in the whole game. Bowling highlights were Matthew Draper (3-42), Tim George (3-41) and Justin Wubbeling (3-40) off their 10 overs each. Also worth mentioning some good catching from Steve Raves and Jack Horton. Second half, our batting display was below par and sadly a far cry from where it has been earlier in the season. Chip ins from Andy Waltz (17) and David Ackford (16) at the start supported top scorer Justin (44) and that’s as good as it got as we were shot out for 117 in 30 overs. Abbots gave us only 15 extras of which just 4 were wides. Thank you as always to Bev Walter for scoring and for those supporters who came up to watch - sorry we weren’t able to give you a better performance to enjoy. We move on to next week to start the second half of the season. This weekend the 3s came up against a very good Hatherleigh 2nd Team. Hatherleigh batted first and scored 385 for 5. Again everyone put everything into the fielding and even on such a hot day no heads dropped. Jake Agnew again bowled well taking 2 wickets in 2 balls, unfortunately he missed out on his hattrick. Hannah Duckworth took her first senior wicket in the first game she has played. Evie Privett again bowled well and was unlucky not to get a wicket off her first ball, she found the edge but we couldn't quite hold on to the catch. Unfortunately the batsman went on to score another 110 runs. She did get a wicket a little later though. Mentions should also go to Luca Manuell who bowled accurately in his first game for the 3s and to Megan Nicholas in her first game for the 3s. Our batting wasn't at it's best and we only managed to get to 54. The highlight of our batting was Jake Agnew scoring 28 with some excellent strokeplay. I would like to thank Dave Privett and Adie Manuell for playing yesterday to make sure that we had 11 players. Thanks also to Head Scout John Agnew for harassing lots of parents for me and helping to get the team out. Great win for the thirds but a tough day for the ones and twos. It was a great day for the 3s yesterday with our first win of the season. Cornwood won the toss and decided to have a bat. Jake Agnew got us off to a great start with 2 wickets in his first over leaving Cornwood 0-2 off 2 overs. Jakes opening burst continued and off 4 overs he had taken 3-26, Jake came back on for 1 ball to take the last wicket as well finishing with 4-26. The Evie Ps then took over with both bowling well. Evie Pitman bowled with good pace, swing and bounce. Old Evie P finished with 4-10 off 6 overs. At the other end Young Evie P tested the batsmen beating the edge of the bat on several occasions. She was unlucky not to get their top scorer out early when he edged to the keeper, unfortunately it wasn't taken. She did however get a wicket with an LBW, but it was probably the quietest appeal ever. She finished with 1-36 off 5 overs. Cornwood were bowled out for 82. For the second week in a row we were batting before tea. The batting was opened by the 2 Maynards. Both Ollie and Neal looked comfortable as they started slowly, then as the bowlers were changed the tempo increased. They progressed to 82 to tie the scores, unfortunately Ollie was bowled by a great Yorker, for the 3rd time this season. This caused a moment of panic in the dressing room as the rest of the batsmen were starting to get changed. Billy Pitman was then bowled first ball with another good Yorker, again chaos in the dressing room as another batsman had to get dressed again. Calm was restored by Ian Duckworth who fended off the hat-trick ball and then snatched a quick single to win the game. Ollie scored 30 and Neal 30 not out. It was another good performance by everyone in the field with special note to Dave Privett diving around at Mid On to stop the ball. Thanks also to Dan and Jo for preparing the teas and drinks and the home made Scones. We also had the best Tuna Sandwiches of the season so far. Thanks again to John Agnew for scoring. A well deserved 20 points for the team. Torquay won the toss and chose to field on what was a good wicket and grass coloured glass for an outfield. We hopped out one of their openers in the first over, but after that we were against it. With too many four balls on a good wicket and some good batting the opposition raced to 142 before the next wicket. Justin Wubbeling taking a great catch off the bowling of Ryan Skinner who bowled what was in the context of the innings a really top 10 overs. Torquay continued to build and build and the boys were up against it. Matthew Draper bowled superbly for his 3 for, although his chat leaves a lot to be desired. In the end Torquay posted 326-5. However we lost 3 quick wickets and were 8-3 and struggling. Justin batted really well for 50 and put together a good partnership with Jack Horton to get us to 71 before the next wicket. Once Justin went with the score on 100 we lost regular wickets. In the end finishing on 144 all out. Thanks to Mar Walter for what are always fabulous teas, Bev Walter for scoring and those down enjoying the sun with a beer. We lost the toss and they wanted to hit a stack of runs whilst we hit a suntan chasing leather all day. First wicket taken by skips after 58 runs, ended up 9-0-36-1 bowling all the way through. 71 runs later we got another wicket with a great run out from Josiah Caunter! 143 runs later another fell to a stumping from Chris Dawe Po. Their centurion fell to skips at mid off from Josiah 9-0-57-2. Jack Sellick got a run out to go with his 5-0-37-0. Simon Beare tried from both ends with 8-0-55-0. Charles O'Higgins was promising early in his spell with 7-0-60-0. Paul Hamilton tried his hand and got 4-0-35-0 but fielded at short cover superbly and got an egg on his leg for his troubles! Jake Campbell-Beattie got 3-0-35-0. Tobin Barker and Oliver Goulder were inspirational in the field, a real credit! After tea we knew that if we got in like their bats runs were to be had. The outfield was glass going up the hill as quick as it did down the hill. The track was incredibly slow though! Paul and Charles opened up but a run out after the 4th ball wasn’t the ideal start. 9 balls later Charles out lbw meant we lost both openers without scoring. Simon and Tobin scrapped it out for 7 overs and got a partnership of 41 before Simon was lbw for 9. Oli G and Amanda Higginbotham batted a couple of overs before Higgy was caught for a duck. The next ball JCB got a first ball duck and skips was invited to face the hat-trick ball with 7 fielders around the bat! 2 runs taken! Oli (9) got a nut and Po (1) mishit his second ball and we were 69-8 after 17.1. Plenty of time left and points are vital to us in this first half of the season. Josiah joined skips and put on a 39run stand in 9ov to show some resistance before Josiah 15 was out lbw. With 108 on the board Jack joined skips and we nearly got that last point on off but fell short with Jack being bowled for 2 with skips 38*. Huge thanks to Jonathan Goulder for umpiring and all those who scored. A tough day, given the first half which showed us it was possible to bat on that wicket and with just 3 of our batters in double figures....we need to move on and it’s home to Chaggers next Sat everyone! Sidearm offer is there again next week guys........!!!!! Home to Torquay with a 12.30pm start. Players to meet at Harewood at 11.15am. It was certainly a weekend of what could have been with all three teams in with shouts of winning all their games but sadly all getting beaten. Starting with the 1st's trip to Chudleigh, Capt Craig was gutted that his side couldn't get the final few runs needed for victory. Unfortunately back to back defeats. We won the toss and said we would bowl first in a reduced game of 46 overs per side after a delayed start. Opening up we bowled well, Stevo picking up a couple of early wickets. Chudleigh managed to put a partnership together to get them going again. Unfortunately we had moments were we were not on top form with the ball bowling the odd four ball etc. Chudleigh finished on 184-9 with wickets shared around special mention to Tim George who bowled really well. He was also very supportive of Christian Bunney in the field. The score was a few too many on a wicket that did a bit and was tough to bat on at times. Chasing we lost Walts early on but David Ackford and Buns put on a partnership to get the scoreboard ticking. Once we lost buns, Jacko and then Justin joined Dangerous to keep us in touching distance. However we then lost a few quick wickets meaning were were playing catch up. Dave Wrench and Dangerous gave us a chance but we lost momentum with wickets and fell just short. On a bright note another 50 for Dangerous and cashing in on his good form - well done pal! Terribly disappointing result, however no better way to put that behind us than giving Torquay a good seeing to next week! Thanks to Bev Walter for scoring and as always our travelling contingent. We won toss and chose to bat. Some early boundaries from Charles O'Higgins set the tone but an unfortunate run out meant Felicity Leydon-Davis (3) was back on the terrace. Simon Beare and Charles put 10 on before a catch was taken and Simon (5) was back to the pavilion. Charles (20) promised a big one but was bowled with score on 43-3. Dom Mulberry (22) and Harry Kandampully (7) moved the score on by 19 before Harry was caught and an over later Dom was caught with score on 66-5. Amanda Higginbotham (12) joined the skipper and put on 19 to push towards three figures, before falling to a loud lbw appeal being given. Josiah Caunter and skipper batted 14ov putting on a partnership of 70 and pushing score to 157-7 before skipper was caught for 40. Josiah (35) was caught a couple of balls later and we lost wickets in a flurry - Adam Sellick was run out not facing a ball. Chris Dawe Po smashed a great 12 and Matthew Draper smashed an even greater 25 to get the score to 197-9. Our best effort with the bat this year!!!!! Tea was a real treat - thanks to the O’Higgins! Ash started similar to us in terms of run rates although they kept wickets in hand and were able to put the foot down when needed. At drinks we were 75/5 they were 87/2. At 30 overs we were 99/6 they were 128/3. The wickets were shared between Drapes 1-24, Selly 1-41, Simon 1-23, skips 2-29. A couple of dropped catches and also other commitments meant we were able to call on James Degg and Sam Agnew as sub fielders but also lost Josiah to the Cumberland centre to check out his knee. Reports are good - clear X-ray, in a support brace and back next week after some rest. Good hands and a top stumping from Po and excellent ground fielding from Harry! Thanks to Dave for umpiring and Stephanie Hutchins for scoring second half. It was a frustrating day for the 3s on Saturday, having lost the toss we had the chance to bowl first. A good opening spell from Jake Agnew saw him beat the bat several times with Jake finally finding the edge and Ollie Goulder taking the catch behind we removed one of their openers. This was Jake's first wicket in Senior cricket, there will be many more. We plugged away from both ends with Ollie Maynard taking a wicket, then Evie Pitman and Paul Hamilton took over with both taking 3 wickets. Abbotskerswell were 109 ao. We started batting before tea and made slow progress to start with but looked fairly solid, we then lost both Paul and Ollie Maynard before tea, we were 45 for 2 at tea. On the resumption things went wrong and we continually lost wickets some to good catches and some to poor shots and ended on 82. It was a game we should have won but unfortunately we only came away with 7 points. Away to Chudleigh with a 12.30pm start. Players to meet at Tesco car park unless going directly. Another tough week for the three teams with defeats in all games. Unfortunately the 1’s were on the wrong side of the result. We batted first and didn’t really get going. We lost wickets at regular intervals and at one stage were 50 odd for 5. Dave Wrench, Elliot Hamilton, Steve Raven and Chris Dawe Po made sure we had something to bowl at. Wrenchy finished top scorer with 40. In the field we started really well Jacob Caunter taking a wicket in the first over. At no point did Cornwood run away from us but only defending 150 meant they didn’t need to. Their pro Sal proved why he played at the top level by guiding them home. We switched off at times in the field again, but that was dispersed by some equally good fielding, David Ackford staking a claim for best short fine leg in the league!! Also mention for Po, who I thought, and constant commentary from Salman during his innings had a good game behind the stumps, couple of tough chances but glovework on the whole was a great effort. Disappointed to lose but some very good moments give us confidence into next week. And as always we are always their to console and support our teammates! Lewdown won toss and decided to bat. Skipper set the tone with a maiden trying to lure the in form Derek Ball into a false shot. Joel Larkman took the second over and bowled 0-18 off first 5, coupled with Matthew Draper 1-22 off his first 5, 61-1 at drinks(15) was a decent start. Josiah Caunter bowled a 9 over spell 1-32, brilliant spell and ably supported by skipper who finished off his 8 with 1-43. A few tough chances went to hand but didn’t stick and the 140-2 at 30 was a super platform to really push hard on the accelerator. 171 runs off our last 15 was hard and Joel finished with 1-68 off 9 and Drapes 2-73 off his 9. Others chipped in with Harry Kandampully 0-21 off 3, Jake Campbell-Beattie 0-43 off 3, Charlie 1-17 off 2 and Paul Hamilton 0-11 off 1 plus a super slip catch! 311-6 was a huge one!!! The tea was something else, they had a sponsors lunch and as such tea was topped up big time. Our batting is a focus and today was an opportunity for a gritty innings and time in the middle. I didn’t expect to chase it down but certainly try and get as many points as we could. Partnerships would be key and we made 15 before Paul was strangled down leg. 6 more runs were added before Charles O'Higgins (14) got one on the boot - lbw! Sam Agnew feathered a catch to the keeper without troubling the scorer. Score 21-3 after 6. Harry edged one to 2nd for 7. JCB threatened to clear the rope a couple of times but was bowled for a duck. Amanda Higginbotham looked confident before she walked past one and stumped for 1. 37-6 after 11. Joel’s good 17 fell to a bowler who potentially bowls slower and loopier than me....! Injured Rob Walker (Achilles) hobbled to the middle at 9 and crafted a good 17 on one leg. Josiah as resilient as ever this season notched up a super 19 before the skipper ran him out!!! Sorry Josiah, I was coming back to the danger end! Drapes looked nervous on his 4 duck innings in a row - but smashed a quick fire 16 with skipper 23* to take score to 140ao. You’ve all been tagged in - remember SIDEARM!!! Thanks to Ben Privett for scoring. Thanks to Dave Loynes for umpiring. Our win is just around the corner, keep in there guys! An excellent run chase for the 1sts but another tough weekend for the 2's and 3's. We lost the toss on what was a pretty good wicket and quick outfield. In the first 10 overs we restricted Ivybridge to 22-2, but after that we didn’t bowl particularly well or field brilliantly. Credit where it is due their overseas hit a clean ball and with a short boundary it was hard to restrict. They finished on 238-8. Dave Wrench with 3 wickets, Jacob Caunter with 2, and special mention to Ben Privett who took his first 1st team wicket and a big one it was, cleaning up their overseas. We knew we would still have to bat well on a wicket that was playing well. Another good start from Andy Waltz and David Ackford got us to 50 before we lost Walts. Bunney came in and out on a good partnership with Dangerous and we were well positioned to push on with wickets in hand. Justin Wubbeling came and went but gave us a bit of impetus. James Degg and Dangerous then batted brilliantly James finishing on 30 after being run out. Jack Horton joined Dangerous and these two saw us home in fantastic fashion hitting boundaries and running well. Jack finished on 30 and Dangerous 99 both not out. Special mention to Dangerous as he has really stepped up this year and his knock yesterday was superb! Thanks to Warren Carr for scoring and great to see the support watching. Lost toss and asked to bat. Opening pair of Charles O'Higgins and myself put on the opening stand and was the biggest partnership in the innings of 26. 4 scores in double figures, highest of 15 meant our total wasn’t going to be competitive. 7 catches taken, 2 lbw’s and just the 1 bowled showed how we played. They knocked them off without any trouble, taking just 17.2 overs. A lovely tea from Rachel Caunter. A difficult day to say the least. No umpire , no scorer, not enough value placed on our wickets. The 3rd's lost to Tavistock 2nd's at Gunny. Home to Cornwood with a 1.30pm start. Players to meet at Harewood for 12.00pm. Good win for the 1st's but the search for a first win this season continues for the 2nd's & 3rd's. We start with the 1st's who recorded a good win over Budleigh at Harewood. We won the toss and elected to bat. Andy Waltz and David Ackford got us off to a good start, both hitting some nice boundaries early. We were scoring at a good rate however losing wickets at regular intervals meant that when Elliot Hamilton got together with Ben Privett we needed a partnership and for the two to bat some overs and that is exactly what they did. They both batted brilliantly. Elliot finished with his maiden first team 50 and Ben was out for 15. Top effort lads. In the field we didn’t start particularly well and a short rain break was a welcome chance to regroup. Spin at both ends was the way to go and Sikder 'Istiaque' Ahmed got us up and running getting some crucial wickets. James Degg got a well deserved 4 and Jacob Caunter bowled better than his 1 wicket suggests. At times we were up against it in the field but what a performance put in by everyone to get us over the line. Big thank you to Bev Walter for scoring, Mar Walter for looking after the bar and Mrs Canter for taking care of teas. Lost the Toss and asked to bat. We had 2 batsman in double figures. We got 2 wickets. We came 2nd. We ended up with 2 points. Need to value wicket more. Bowling was good, handful of dropped catches meant we didn’t get as many points as we could have. Good debuts for Oli Smith and Oliver Goulder this season. Thank you Jonathan Goulder for umpiring- played in a good spirit! The 3rd's lost the toss and were put in at Yealmpton. After a good start, getting to 71-1 helped by37 from Sam Agnew, 6 quick wickets were lost without us reaching 100. A lower order flourish from Capt Sean (38 n/o) and Dan Pitman (23) saw us get the score up to 168-9 when the 45 overs ended. In reply Ivybridge knocked off the target without too many scares reaching 1639-2 in 26 overs. Away to Bovey Tracey. Players to meet at Plympton Library at 12.15pm. Another tough week for the club with all three teams beaten. We lost the toss and Paignton chose to bat (we would have done the same) the wicket was good and the outfield was like glass. Jacob Caunter and I opened up. And what was apparent quite early was that pace off would be crucial to restrict the score. Jacob bowled well however they got off to a flier. The spinners came on and did a great job, Jacob with figures of 2-38, Dave Wrench 1-32, Sikder 'Istiaque' Ahmed 2-49, James Degg 1-54 and myself 1-31. Also a note for the efforts in the field - some great fielding! In reply we never got going. Some good bowling from their openers saw us slip to 26-7 at one stage. This meant that Justin Wubbeling came to the crease with Lee at 39-8. What followed was amazing to watch in a losing cause. Justin played a brilliant counter attack innings finishing on 112. And a mention for Lee whose 25 was crucial in helping Justin. We were all out for 179 and lost the match. We go into next week knowing no matter the situation or opposition we are never out of the game. Special thanks to Ben Privett for scoring - hopefully he will be fit to get playing sooner rather than later. Matthew Draper and Edd Degg opened up with some decent wheels on a good deck but lighting outfield. Drapes bagged one in this spell and later on got another 2-43. Josiah Caunter first change was mr reliable 3-25 off his allotted 9! Stephanie Hutchins, Tim George and Jake Campbell-Beattie all got 1. They got 219-9 off 45. 119-6 to 219 came from some positive but at time lucky shots! The Agnew tea was mahoosive! Thanks to Amber Balkwill for drinks, bar, tea prep, support, everything today!!!! We knew if we batted positively we could challenge the total. Charles O'Higgins with a good 15 promised. Sam Agnew departed early which brought the skipper to the crease. Josiah after his previous weeks performances batted at 4! Great to see his positive reaction at tea to the discussion of 4! Edd showed us he could join the bomb squad with a 6 n out?! Jake contributed 15 and the skipper 39. Po looked really good and needed a good catch to get him on 38! Steph a good 19* got us to 194 only 25 short. Home to Dartington & Totnes. Players to meet at Harewood 12.15pm. A resounding win for the 1st;s but defeat for both the 2nd's and 3rd's. We lost the toss and were in the field. Reasonable start with the new ball without taking a wicket. Following in a similar pattern to the week before at drinks Brixham were 1 wicket down with around 80 on the board. In the second half of their innings we were exceptional at times with some very tidy bowling and some good run outs meaning we kept Brixham to 177-7. Special mentions to Sikder 'Istiaque' Ahmed who on debut took 2 wickets bowling at a difficult time. Jacob Caunter bowled well without too much luck, Dave Wrench and James Degg equally. Well bowled lads! In reply we knew we would need a good start as typically the wickets at home become very spin friendly second innings. Andy Waltz and David Ackford were fantastic both notching 50’s with Walts finishing on 70 odd not out. Christian Bunney and Wrenchy saw us over the line. Great result following a tough defeat last week. We are up and running! Thanks to Ben Privett for scoring and to mother Caroline Donohue for teas. Lost toss and we batted first, which given the team balance, that’s what I would have done anyway. Good knocks from Rob Walker 51*, Josiah Caunter 22, Chris Dawe Po 22, Felicity Leydon-Davis 21. We amassed 158 -8 batting our overs. Defending that total was going to be hard with the bowlers we had but we tried! Two wickets for Jake Campbell-Beattie and 1 each for Matthew Draper and myself. Thanks everyone for putting in the effort. Thanks to John Agnew for scoring and Dave for umpiring. A difficult day all round tbh. Not a very long report today. Chelston batted first and scored 261-2. Jake Agnew opened the bowling with an excellent first spell beating the bat on several occasions. Billy Pitman was slightly slower to get in to his rhythm but his last spell caused problems for the both Chelston Batsman. Evie Pitman took both wickets during a difficult period of the game with some superb swing bowling. Again no heads dropped whilst we were in the field with everyone throwing themselves into the game, especially 'Linford' Jones on the boundary. Once in to bat we found that their opening bowlers kept the ball on the spot and they were just a bit too good for us today and we were all out for 22. Just remember that they are a 1st XI and in 9 weeks time we get another go at beating them. A large thank you to all the Pitmans that were there, in particularly for Jo who arranged all the tea and drinks for us. Away to Shaldon. Players to meet at top car park at 11.50am. Well we've certainly had better opening days to a season! All three teams competed well but sadly all three were beaten. After winning the toss and bowling we were hoping to use any early movement there might have been on what was a pretty good wicket - slow but not too much to worry about for a batter. No early wickets arrived as was hoped. Bideford batted well in patches, there was some good bowling from Alex who finished with 3 wickets, Dave Wrench stole 2 and the skipper chipped in with 2. In the field we were very good at times taking most chances, just the odd slip of concentration which meant Bideford made 211-7 when 190-195 was probably a fair score. Batting we started off well with both Andy Waltz and Dave Ackford hitting early boundaries. Once Waltz fell for 15, Dangerous and Christian Bunney set about the task both notching 50’s. Just as we were about to kick on we lost a couple of quick wickets and the run rate started to climb. With 10 to go we needed about 90. They brought on slow bowler after slow bowler and it worked a treat with fielders found regularly. Some lusty blows from Wrenchy and Big H got us to within touching distance, but we came up two short. Overall some great individual performances and very positive signs. At times we looked a bit rusty but with games this will change. Credit to Bideford they did what they needed to do to win. We won toss and fielded first after a minutes silence was observed for those that the club has lost recently. Top catches from Paul Hamilton and Chris Dawe Po - who also bagged a LEGSIDE WIDE STUMPING!!! From 26-5 we battled to 113ao in the 36th over. Noticeable grit from Leemon with 31. Jack Sellick 15* and Josiah Caunter 10 put up a 32 run partnership for the last wicket - a pleasure for the balcony to watch and lots of positive comments were overheard for the 2. It would be remiss of me not to mention all those behind the scenes who have helped the match go ahead today! Kev our groundsman for the track and decent pitch. Justin Wubbeling and Andy Waltz for the hours they put into signage, rolling squares, cutting outfields and generally making it possible to play. A huge shout to Karen Farrer and her army of helpers who made tea/drinks go smoothly. Finally thank you to those who come down to support the team and we appreciate we weren’t at our best today but thank you for your support. I really enjoyed it and look forward to the weather being the same next week hopefully. 1st Team v Bideford/ Littleham/ Westward Ho! Scorer - VOLUNTEER NEEDED PLEASE! Teas - VOLUNTEER NEEDED PLEASE!